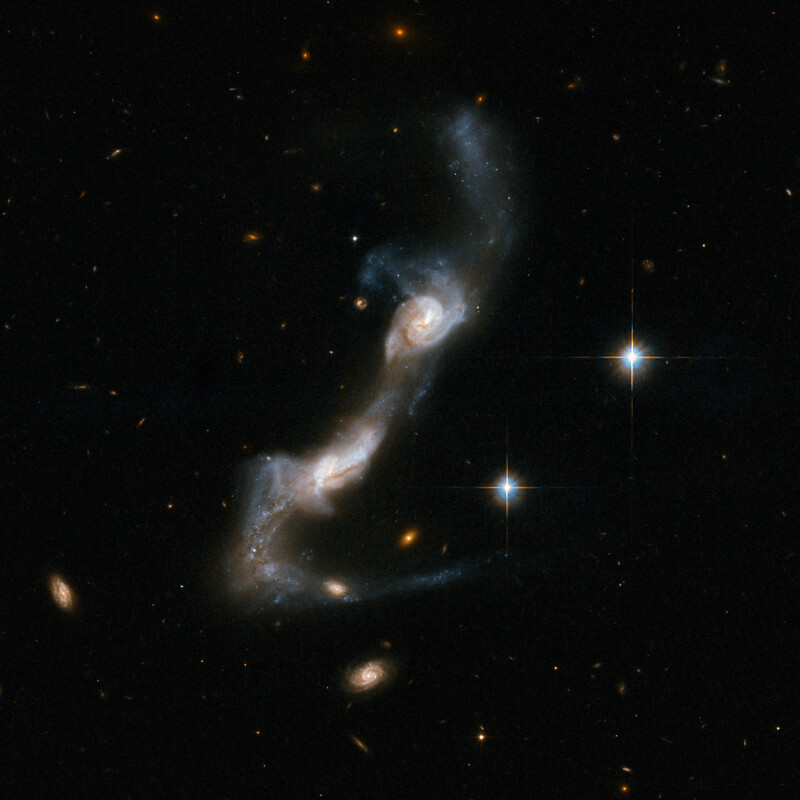 UGC 8335 is a strongly interacting pair of spiral galaxies resembling two ice skaters. The interaction has united the galaxies via a bridge of material and has yanked two strongly curved tails of gas and stars from the outer parts of their "bodies". Both galaxies show dust lanes in their centres. UGC 8335 is located in the constellation of Ursa Major, the Great Bear, about 400 million light-years from Earth. It is the 238th galaxy in Arp's Atlas of Peculiar Galaxies. Position (Dec): 62° 7' 38.72"